If you are passionate about herbs like we are, you're in the right place! The Herb Society of America promotes herbs as valuable, useful, and essential parts of our lives. Throughout history we have valued their aesthetic, fragrant, medicinal, and culinary properties. Our print and digital resources, provide windows into herbal history and lore, growing tips, and techniques as well as details on many herbal uses. 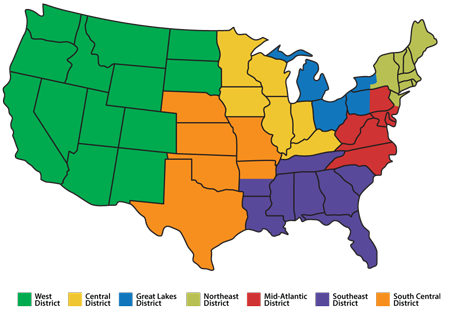 There are currently over forty units of The Herb Society of America, located in seven regional membership districts. Local units are autonomous groups and may have unique membership requirements. 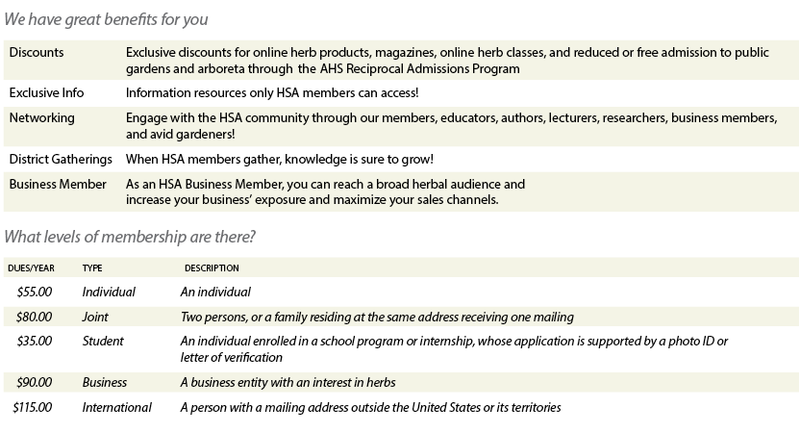 Whether you are looking for a local unit to join or if you are simply looking for a trusted resource for information on herbs, The Herb Society of America community is your connection the world over to help you learn and to share your ideas, knowledge, and observations with other herb enthusiasts. The Herb Society of America is a membership based nonprofit 501(c)(3) organization with headquarters located in Northeast Ohio. The Society's national headquarters are located in Kirtland, Ohio (approximately forty-five minutes east of Cleveland, Ohio) adjacent to Holden Arboretum. The offices renovated in 2010, occupy what is considered the oldest stone house in the area, a structure built in 1841 by Henry Early using local sandstone.